So since I last wrote about my meds and how they were working (lithium sucked! ), I’ve come to find a combination that’s going pretty well for me. After getting off Depakote and Lithium, which didn’t work for me at all (and caused me to gain weight and be hypothyroid), I’ve been on Lamictal (an anticonvulsant) for a year now. It hasn’t caused me any weight gain and is said to have a relatively low chance of negative side effects, which is lovely. It was doing relatively well on its own, but not completely getting the job done. I was still struggling with depression, even at 500mg. 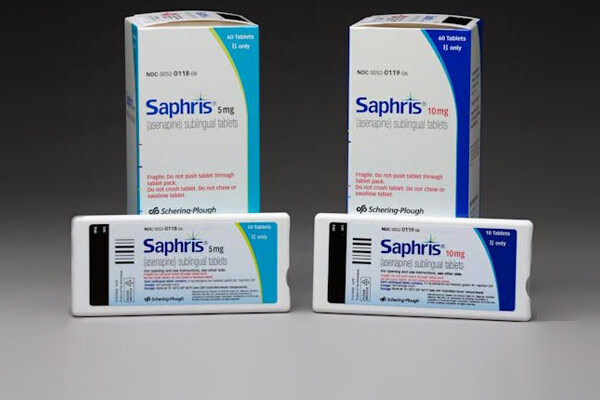 So this past January we added Saphris, which is an anti-psychotic approved for bipolar use in 2009. My doc said we have to watch out for possible effects on my cholesterol and blood sugar, so I’m getting tested for that regularly. But otherwise, I’m side effect free. What’s weird about Saphris is that it’s a dissolvable tablet that you put under your tongue. It’s a little menthol-y and makes your tongue a bit numb, but all in all not too terrible. Also, a huge bonus for me is that it makes me sleep! I’ve had disordered sleep since the beginning of time and was taking ambien every night for years. But Saphris knocks me out in about 20 minutes and I sleep wonderfully. It’s a beautiful thing. Something that I don’t think any meds can fix is the ramifications of being a woman. I definitely get depressed not just before my period but when I ovulate. No joke. After reading up on it, I guess the ovulation thing isn’t too uncommon. Who knew! What another fun experience to add to the joy ride that is being female. But the depression usually isn’t too terrible and only lasts up to a few days, so I suppose if I can be balanced the rest of the time I can deal with that. Yes, balanced. I can’t believe I’m finally at a point where I can say that I’m balanced the majority of the time. I just had to find the right mix of meds to make it happen, so I hope this information might help someone trying to figure out their own treatment and evaluate different drugs. (Of course everyone has different reactions to different things, but this is just what’s working for me). Best of luck out there in the medication jungle.